Hong Kong, Nov 27, 2018 — A nearly 1,000-year-old ink painting by one of China’s greatest literati masters Su Shi fetched HK$463,600,000 (US$59.2 million) at auction, Christie’s said yesterday. 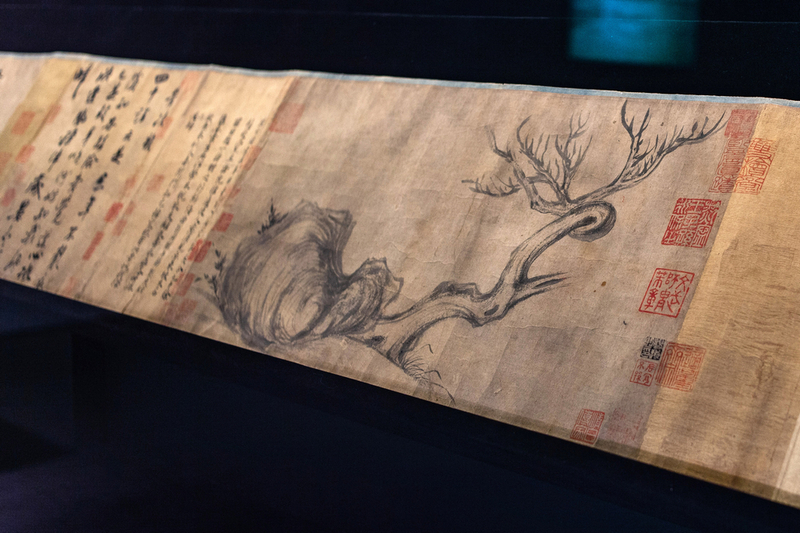 Entitled “Wood and Rock,” the ink-on-paper hand scroll depicts a dragon-like old tree with withered branches and a sharp rock resting at its root. In 2010, “Dizhuming,” a Chinese calligraphy scroll by Huang Tingjian — Su Shi’s student — sold for US$64 million at Poly Auction in Beijing.